The Tejas Express is running without the mandatory safety clearance from the Commissioner of Railway Safety (CRS). The Mumbai-Goa luxury train Tejas Express which boasts of its ability to pick up a speed of 200 kmph has all this while been running without the mandatory safety clearance from the Commissioner of Railway Safety (CRS), said a leading English daily. According to The Indian Express, the CRS which is a statutory body under the Ministry of Civil Aviation wrote to Central Railway and the Rail Ministry last week, asking why the Tejas express, which has been billed as "future of train travel" in India, was launched without their approval. It also queried as to why it has been running without the CRS having inspected it and giving it a safety nod. 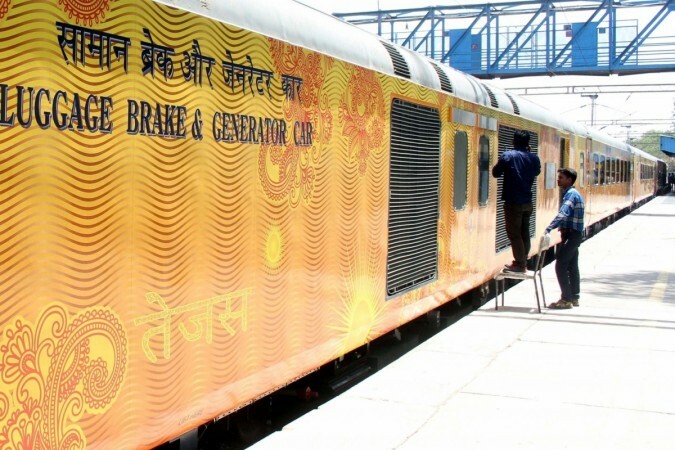 However, the Railways' Research and Development wing in its reply claimed that the train is currently running without many of its special features and did not include any "new rolling stock" that needed fresh clearance. The CRS in its letter stated that allowing a train to operate without receiving a clearance violates Section 27 of the Railways Act, 1989. The section 27 mandates that any new rolling stock can be introduced only after the commissioner submits a report to the Central Government saying that he made a careful inspection of the rolling stock and the rolling stock can be used. The Railways has also violated the Railway Ministry's Policy Circular No 6, which stipulates that any new rolling stock with higher speed must get a new safety certificate from the CRS. According to the New Indian Express report, sources in the civil engineering wing of Railways said that the policy circular is significant because any new rolling stock potentially alters rail-wheel interaction. Therefore it is important to obtain a fresh safety mandate by the regulator. The Research Design and Standards Organisation, in its reply to the CRS notice, has said that Tejas was "not a new rolling stock". 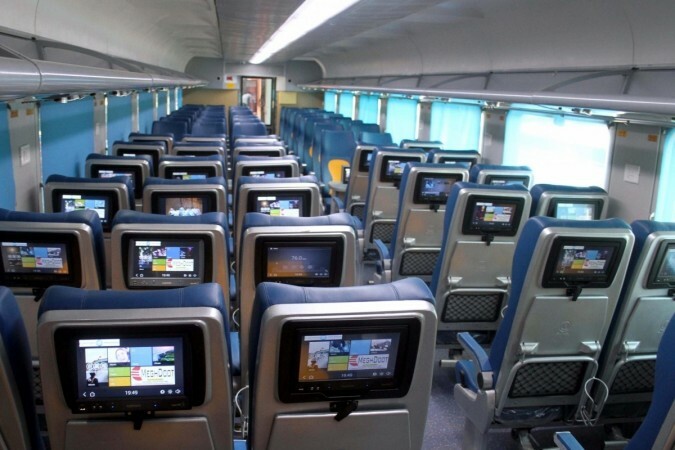 It claimed that although the train has many new features, they are not being currently used, including the new electro-pneumatic braking system. It also claimed that though the train has the ability to run at a speed of 200 kmph, it is plying at a speed of 110 kmph — the same speed at which other superfast trains ply in India. It also clarified that the automatic doors, too, do not change the behaviour of the rolling stock. The 200 kmph speed can be achieved by providing steel brake disc, sintered pads and electro-pneumatic assist brake system. 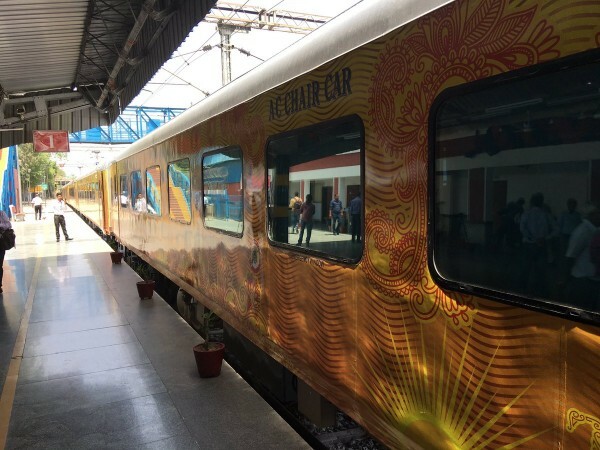 The train also has facilities like bio-vacuum toilets (less water consumption and hygienic), water level indicators, touchless water taps, soap dispenser, marble finish anti-graffiti coating and hand dryers.